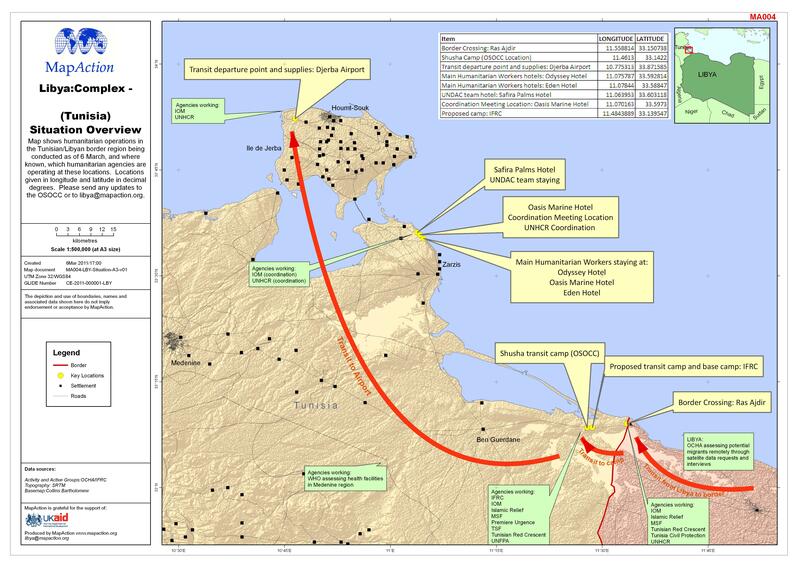 Map shows humanitarian operations in the Tunisian/Libyan border region being conducted as of 6 March, and where known, which humanitarian agencies are operating at these locations. Locations given in longitude and latitude in decimal degrees. Please send any updates to the OSOCC or to libya@mapaction.org.